With the new rules regarding transport of goods in place and the need for e-way bills, it is necessary that transporters be aware of the provisions regarding the same. What is Transporter ID and how to enrol for it? What happens if the transporter changes the mode of conveyance during transit? How to deal with the situation of transshipment of Goods? What is the rule to be followed when transferring multiple consignments in a single conveyance? What happens when an e-way bill is generated but the goods are not transported? Who can accept or reject an e-way bill? What are the documents to be carried by person-in-charge of conveyance? What is the process of inspection and verification of goods? Inter-state implementation of e-way bill is notified to be implemented from 1st April 2018. As per the 26th GST Council Meet held on 10th Mar 2018, Intra-state implementation of Eway Bill to kick-off from 15th April 2018* in a phased manner. States to be divided into 4 lots to execute this phased rollout. To understand what an e way bill is, who should generate it and its validity, read our article on e way bill GST. As per Official Notification-11/2018 dated 2nd February 2018: Mandatory Implementation of e-Way Bill from 1st February 2018 is now cancelled. e-Way Bill generation is optional until further notification this regard. Transporter ID is a 15-digit unique identification number allotted to an unregistered Transporter enabling generation of e-Way Bills. Even the unregistered transporters under GST have to note that e-Way Bills are required to be generated by them under the above circumstances. Since an unregistered Transporters will not have a GSTIN, the concept of Transporter ID had been introduced. Where and when to use the Transporter ID? Unregistered Transporters have to mention this ID on every e-Way Bill in place of GSTIN. Transporters provide this number to the suppliers/consignor to mention it on the e-way bills generated by them which in turn enables the transporter to update the vehicle number later for movements of goods. Procedure to be followed by Unregistered Transporters to get the Transporter ID? Every unregistered transporter will be issued a Transporter ID on enrolling themselves on the EWB portal. 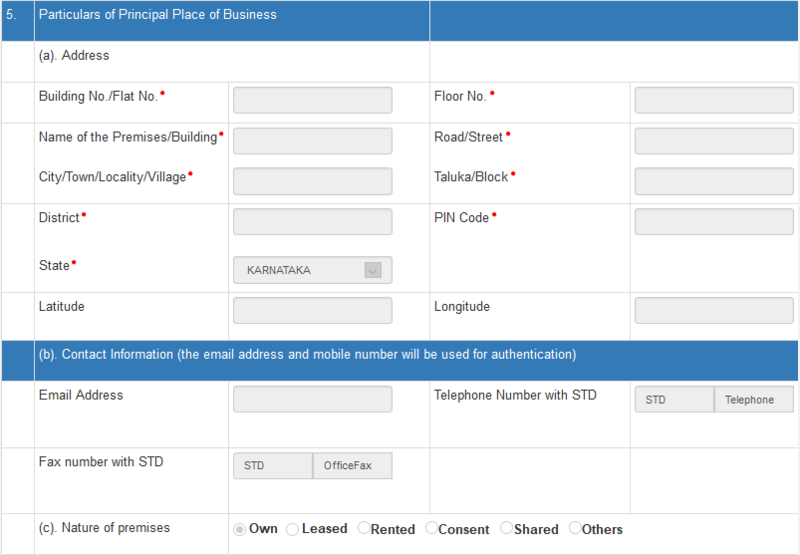 Step-2: Click on ‘ Enrolment for transporters ’ under Regsitration tab available on Home page. Note: The System does not allow you to proceed here without entering the details at point 1 and 2. Note: The e-mail address mentioned here shall be used for authentication. c) Nature of premises mentioned at a)- Select whether the address at a) is Building that is Own /leased /rented/ consent/ shared/ any other case. Tick mark on the left-hand side box to give your consent to the e-Way Bill System/GSTN to fetch Aadhar details of the Authorised personnel of the organisation from UIDAI for authentication here. The Aadhar Number, Name of the personnel and mobile number as per Aadhar. Once entered, Click on ‘Verify detail & Send OTP’ button. An OTP is sent to the Mobile number registered with Aadhar of the above-mentioned personnel. A message that Your Aadhar was successfully verified appears. 7. Upload: Click on ‘Browse’ and select valid documents from your system (one for address proof and one for ID proof) in PDF and click on ‘Upload’. System pops an error message if not uploaded correctly, then make the change to the file accordingly and upload once more. If correctly uploaded, then the file name appears on the right-hand side of each field. Set a new unique username/ user ID and password. Check if the username you wish to set is already being used or not by clicking on ‘Check’. Outcome: System generates a 15-digit Transporter ID and displays the same. Note this number and inform clients. If a transporter is transferring goods from one conveyance to another during the course of the transit, then they must update the details of the new conveyance in the e-way bill already generated on the common portal in the FORM GST EWB-01, before such transfer takes place. The caveat here is that if the goods are being transported to a consignee for a distance of fifty kilometres or less, within the same State or Union territory as the place of business of the transporter, the details of conveyance need not be updated in the e-way bill. Where a transporter is moving more than one consignment in one conveyance, he must indicate the serial number of e-way bills for each consignment electronically on the common portal. 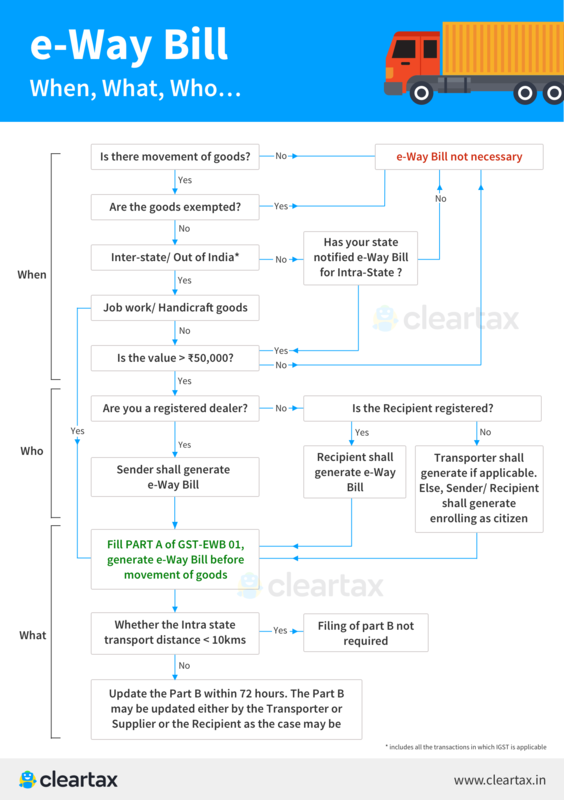 A consolidated e-way bill in Form GST EWB-02 must be generated before the movement of goods. “Transshipment” means the change in the mode of transport/conveyance or change of vehicles during the transit of goods. Portal provides an option in such case to the transporter/generator of the e-way bill to update the vehicle number on e-way Bill of the vehicle in which he is transporting that consignment. The seller or the transporter mentioned in Part A of the e-Way Bill can only update the vehicle number and this can be done ‘n’ number of times. Eway bill portal has also provided an option to change/ re-assign another transporter to an Eway bill. Once the originally assigned transporter re-assigns another transporter in his place, the seller cannot exercise this option any longer. Where an e-way bill is generated but goods are not transported or are not transported as per the e-way bill, the e-way bill may be cancelled within 24 hours. This can be done directly or via a facilitation centre which will be notified by the Commissioner. Note: An e-way bill cannot be cancelled if it has been verified in transit where the mode of conveyance has changed. A recipient can accept or reject an e-way bill. An e-way bill will be assumed to be accepted if there’s no communication within 72 hours of the e-way bill being made available to the recipient via the common portal. A registered person can submit a tax invoice in Form GST INV-1 on the common portal. After which he will get an Invoice Reference Number (IRN). IRN is valid for 30 days from the date of uploading. It can be given for verification by an officer instead of the tax invoice. 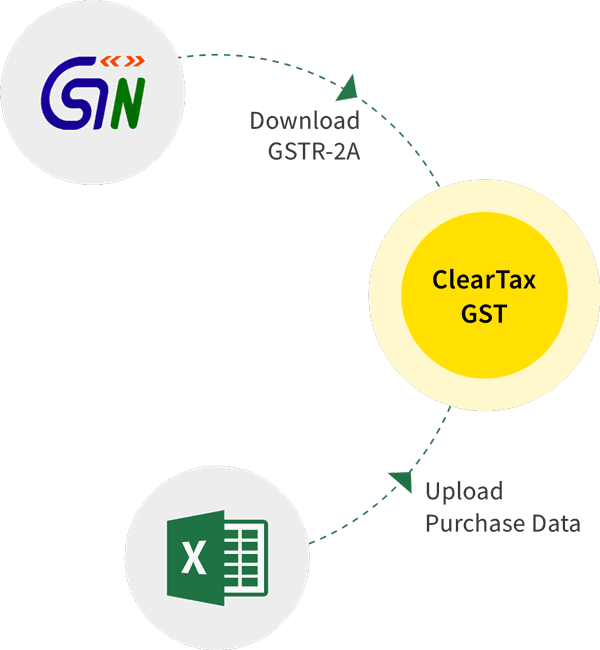 Note that where a registered person uploads the invoice, information in Part A of Form GST INS-1 is auto populated from GST INV-1. The commissioner may notify for a class of transporters to get unique RFID. This RFID will be embedded on to the conveyance (mode of transport) and mapped to the e-way bill before the movement of goods. What is the process for stopping of vehicles and verification of documents in transit? Any mode of transport can be stopped for inter-state and intra-state movements. The Commissioner, or an officer empowered by him, may authorize an officer to stop a consignment to verify e-way bill. RFID readers will be installed at places where verification of movement of goods is required. Verification will be done through RFID readers where e-way bill is mapped with RFID. Physical verification of conveyances may also be done. In case there is ‘specific information’ of tax evasion, physical verification of a conveyance can also be done by an authorised officer. A summary of every inspection of goods in transit will be recorded online by the officer in Part A of GST EWB-03 within 24 hours of inspection. The final report will be submitted in Part B of GST EWB-03 within 3 days of inspection. Goods will be inspected only once during a journey. However, if any ‘specific information’ of tax evasion is available even after an inspection is already done, the vehicle can be stopped again. If a vehicle is intercepted or stopped or detained for more than 30 minutes the transporter can upload this information in Form GST EWB-04 on the common portal. How to use SMS facility to generate/modify/cancel e-way bills? 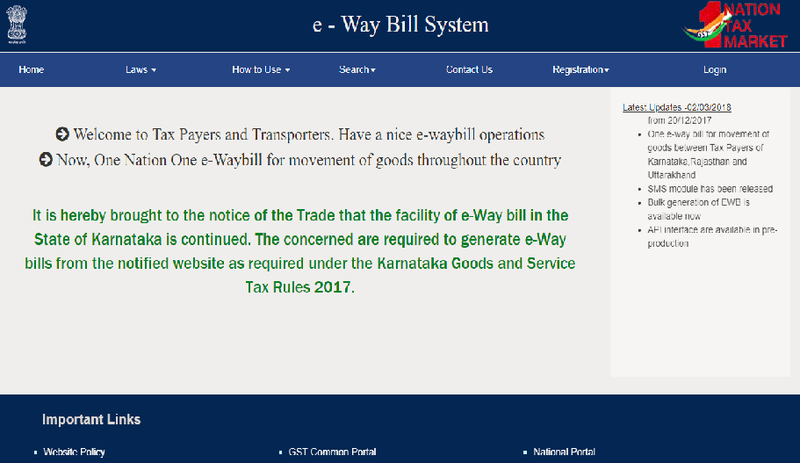 How to generate Consolidated e-way bills on the e-way bill portal?